Shield: Sanguine, a modern helmet argent charged with a cross couped of the first. Description: The maroon and white are the colors of the Medical Department. 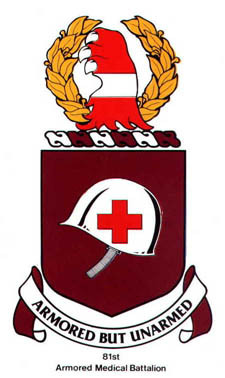 The helmet represents the fact that the organization is armored while the cross characterizes the organization as a medical unit.